In 1896, the Supreme Court ruled in Plessy v. Ferguson that racially segregated public facilities were legal, so long as the facilities for blacks and whites were equal. The ruling constitutionally sanctioned laws barring African Americans from sharing the same buses, schools and other public facilities as whites—known as “Jim Crow” laws—and established the “separate but equal” doctrine that would stand for the next six decades. 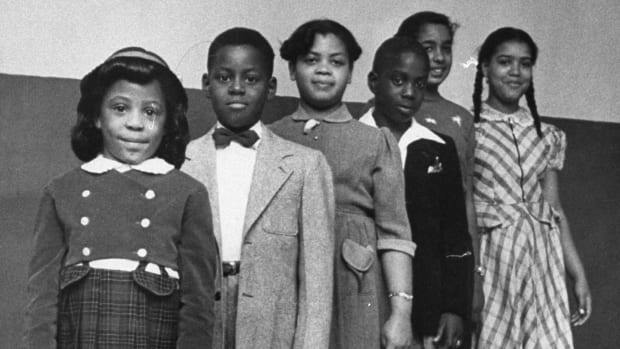 But by the early 1950s, the National Association for the Advancement of Colored People (NAACP) was working hard to challenge segregation laws in public schools, and had filed lawsuits on behalf of plaintiffs in states such as South Carolina, Virginia and Delaware. 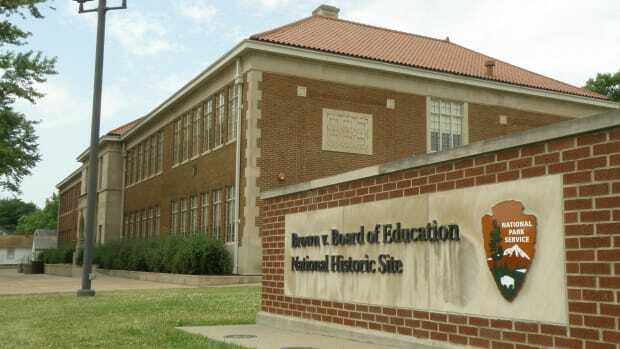 In the case that would become most famous, a plaintiff named Oliver Brown filed a class-action suit against the Board of Education of Topeka, Kansas, in 1951, after his daughter, Linda Brown, was denied entrance to Topeka’s all-white elementary schools. 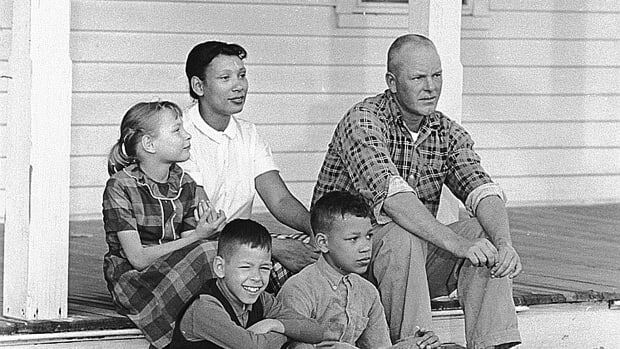 The case went before the U.S. District Court in Kansas, which agreed that public school segregation had a “detrimental effect upon the colored children” and contributed to “a sense of inferiority,” but still upheld the “separate but equal” doctrine. 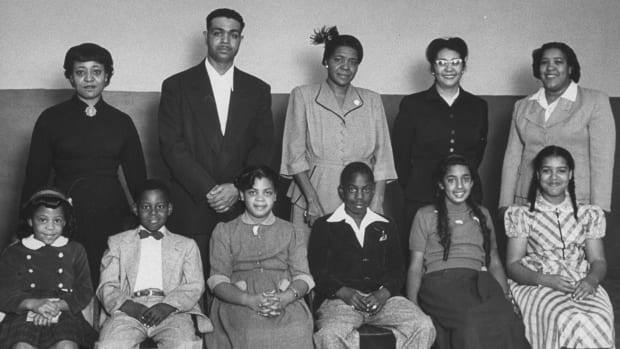 When Brown’s case and four other cases related to school segregation first came before the Supreme Court in 1952, the Court combined them into a single case under the name Brown v. Board of Education of Topeka. At first, the justices were divided on how to rule on school segregation, with Chief Justice Fred M. Vinson holding the opinion that the Plessy verdict should stand. But in September 1953, before Brown v. Board of Education was to be heard, Vinson died, and President Dwight D. Eisenhower replaced him with Earl Warren, then governor of California. Displaying considerable political skill and determination, the new chief justice succeeded in engineering a unanimous verdict against school segregation the following year. In its verdict, the Supreme Court did not specify how exactly schools should be integrated, but asked for further arguments about it. 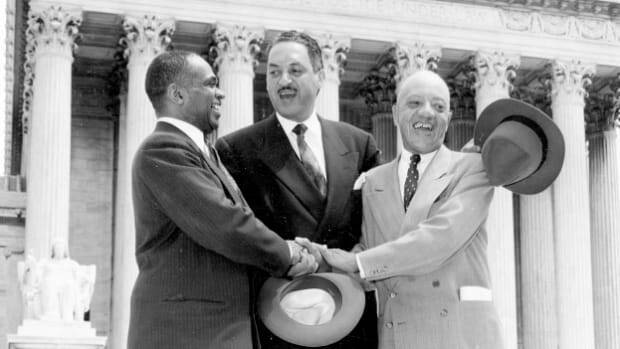 Though well intentioned, the Court’s actions effectively opened the door to local judicial and political evasion of desegregation. While Kansas and some other states acted in accordance with the verdict, many school and local officials in the South defied it. In one major example, Governor Orval Faubus of Arkansas called out the state National Guard to prevent black students from attending high school in Little Rock in 1957. 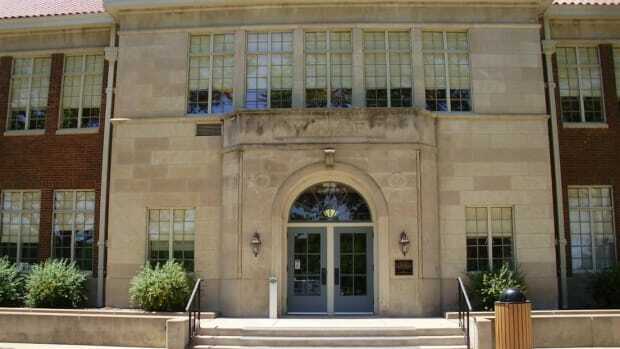 After a tense standoff, President Eisenhower deployed federal troops, and nine students—known as the “Little Rock Nine”—were able to enter Central High School under armed guard. 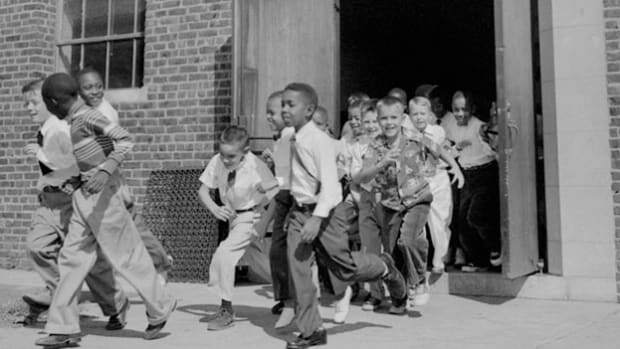 Though the Supreme Court’s decision in Brown v. Board didn’t achieve school desegregation on its own, the ruling (and the steadfast resistance to it across the South) fueled the nascent civil rights movement in the United States. In 1955, a year after the Brown v. Board of Education decision, Rosa Parks refused to give up her seat on a Montgomery, Alabama bus. Her arrest sparked the Montgomery bus boycott and would lead to other boycotts, sit-ins and demonstrations (many of them led by Martin Luther King Jr.), in a movement that would eventually lead to the toppling of Jim Crow laws across the South. Passage of the Civil Rights Act of 1964, backed by enforcement by the Justice Department, began the process of desegregation in earnest. This landmark piece of civil rights legislation was followed by the Voting Rights Act of 1965 and the Fair Housing Act of 1968. 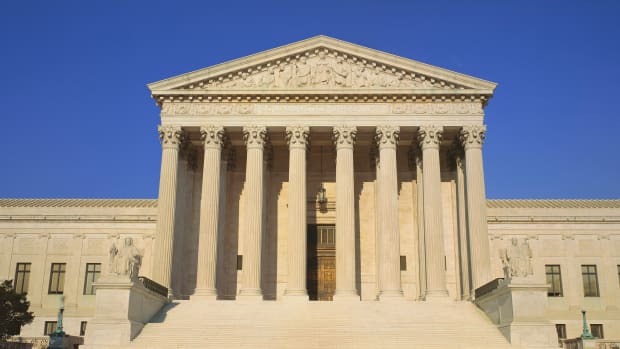 In 1976, the Supreme Court issued another landmark decision in Runyon v. McCrary, ruling that even private, nonsectarian schools that denied admission to students on the basis of race violated federal civil rights laws. 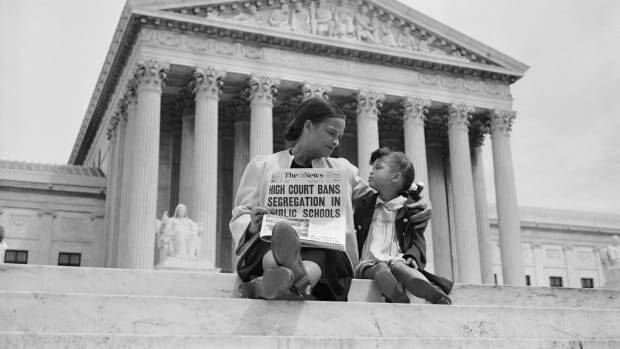 By overturning the “separate but equal” doctrine, the Court’s decision in Brown v. Board of Education had set the legal precedent that would be used to overturn laws enforcing segregation in other public facilities. 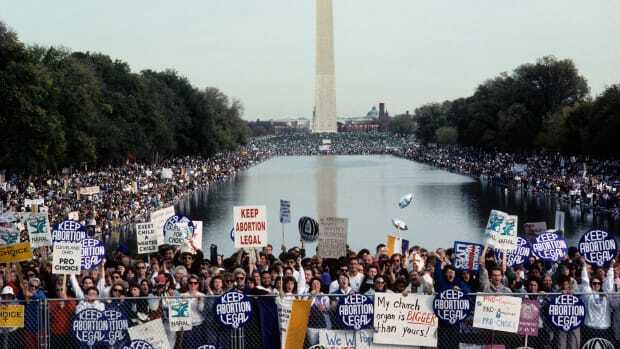 But despite its undoubted impact, the historic verdict fell short of achieving its primary mission of integrating the nation’s public schools. Today, more than 60 years after Brown v. Board of Education, the debate continues over how to combat racial inequalities in the nation’s school system, largely based on residential patterns and differences in resources between schools in wealthier and economically disadvantaged districts across the country. History – Brown v. Board of Education Re-enactment, United States Courts. Brown v. Board of Education, The Civil Rights Movement: Volume I (Salem Press). Cass Sunstein, “Did Brown Matter?” The New Yorker, May 3, 2004. Brown v. Board of Education, PBS.org. Richard Rothstein, Brown v. Board at 60, Economic Policy Institute, April 17, 2014.